Over the past week, we've released position-by-position projections for the 2019 Jackson Generals, with new players examined each day. There are no guarantees made: Jackson's 25-man roster for Opening Day will be impacted by injuries, Spring Training performance, transactions, and many other unpredictable elements. None of the players included in this preview have previously spent significant time at a level above Double-A. You can stay up to date with relevant Generals and D-backs news by following us (@JacksonGenerals) and the D-backs (@Dbacks) on Twitter. First-year Jackson manager Blake Lalli comes into 2019 with big shoes to fill. Last year, Shelley Duncan guided the Generals to a North Division title in the First Half and steered them to a Southern League Championship in the postseason. Jackson opened the year on a franchise-record 15-2 tear, finished both halves of the year with a winning percentage above .500, and won their last seven series in a row. But hear this: Lalli is no slouch. 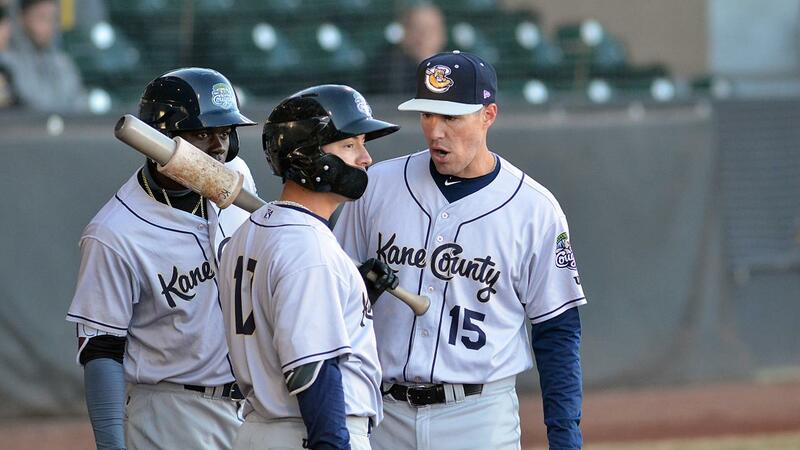 He shepherded Arizona's Low-A affiliate at Kane County to a 72-66 record last year in his first season on the job, and he's bringing hitting coach Rick Short with him to help out the Generals in 2019. You can read more on the Generals 2019 coaching staff - which includes pitching coach Doug Drabek and coach Jorge Cortés - in this release [LINK]. In addition to the field staff, Jackson welcomes back trainer Joe Rosauer, strength and conditioning coach Mike Locasto, and clubhouse managers Dustin Hann and Paul Whatley from their title-winning 2018 staff. *Shelley Duncan was hired to join the Toronto Blue Jays' player development staff. *Javier Colina, the champs' de-facto defensive coordinator, will manage Arizona's Short Season affiliate at Hillsboro this year. *Vince Harrison, the champs' hitting coach, gets the chance to manage Arizona's Low-A affiliate at Kane County this season. Unlike their past two seasons, Jackson will begin 2019 on the road and spend a lot of time away from home in April. 40 games in 41 days unfold between off days on April 10 and May 21, with April 31 being the only day for rest. Two of the three "bookend series" (played between a pair of off days) come in the Second Half against North Division opponents: July 11-16 against Birmingham, and August 7-12 at Chattanooga. A ten-game homestand closes out the First Half, and a ten-game roadtrip opens the Second Half. Tough travel-day openers include May 11 at Mobile (6-hour bus trip after playing at home the night before), July 27 at Biloxi (6.5-hour bus trip after a home game the night before), and the annual July 4 trek, this year to Chattanooga (a 4-hour bus ride) following a home game on the night of July 3. The thorniest game of the year might be the series opener played on August 23 at Pensacola, a contest that follows a 7-hour drive to Pensacola on the heels of a 10-game homestand. Playoff berths could be riding on that late-year set.